Welcome to the Neuroscience Bachelor of Science degree program at the University of Kentucky, a collaboration of the Colleges of Arts and Science and Medicine. Neuroscience is a field of study that is rapidly expanding at National and International levels. This is due to many factors including the rapid development of innovative technological approaches that allow for levels of analysis of the nervous system never before imagined, and growing recognition of the critical role that even single cells have in influencing normal and pathological nervous system function. Our new Neuroscience major at UK is designed to provide students with an up-to-date understanding of neural system functioning and introduce them to some of the challenges ahead as we work to both expand and derive medical benefits from that understanding. At the heart of the program is a new required laboratory course in which students will receive hands-on training in advanced technological and theoretical approaches to the study of Neuroscience. This is to be followed by a year long research experience in the laboratory of a Neuroscientist at UK. Here students will have the opportunity to apply and refine their experimental skills as they pursue independent research projects aimed at advancing the boundary of our knowledge. 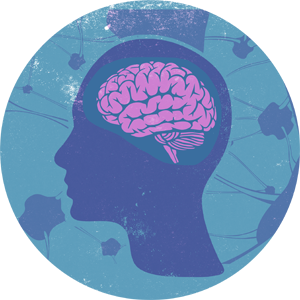 Among the many areas in which Neuroscience faculty members have research expertise are neurodegenerative diseases, central nervous system injury and repair, drug addiction, and aging. We invite you to review the curriculum, under the “Major” tab, to read about the discipline of Neuroscience and the career paths associated with it, under the “About Neuroscience” tab, and to review expertise of the Neuroscience faculty, under the “Faculty & Research” tab. Feel free to contact us with any questions !